The prominent Jewish daily The Forward reviews C&G Partners’ latest exhibition project, "Stolen Heart," on view until October 2016 at the Leo Baeck Institute, part of the Center for Jewish History, New York. 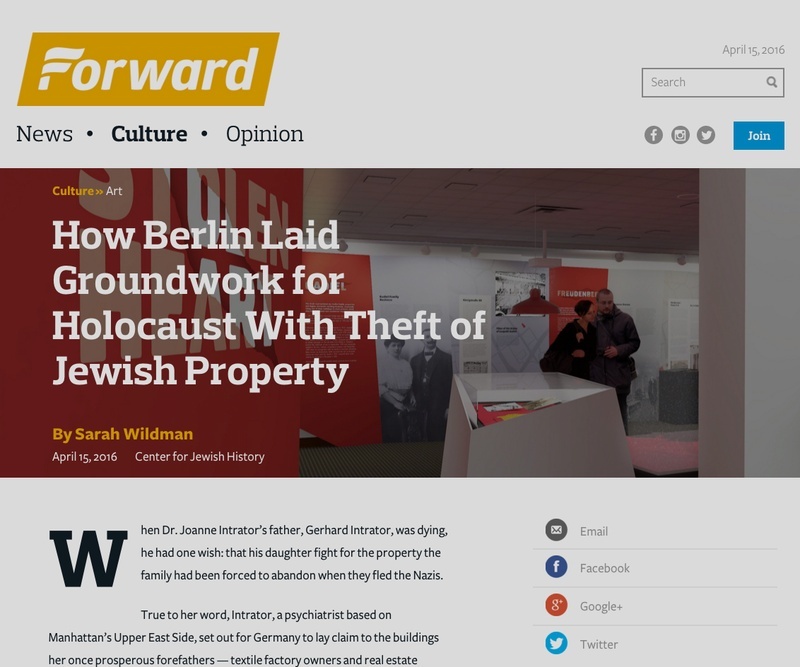 Written by author and journalist Sarah Wildman, the article examines the exhibition's narrative of five prominent Jewish families whose property was expropriated during the Third Reich. The show's design and unique 3D-printed video map get a mention, as do insights by the people involved in the exhibition, including family member Joanne Intrator, Leo Baeck Institute's Frank Mecklenburg, and C&G's Managing Partner Jonathan Alger.